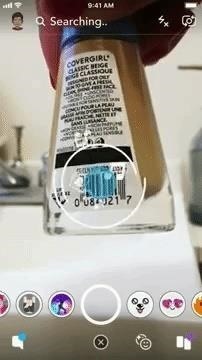 Using the feature is as easy as using Snapchat itself. 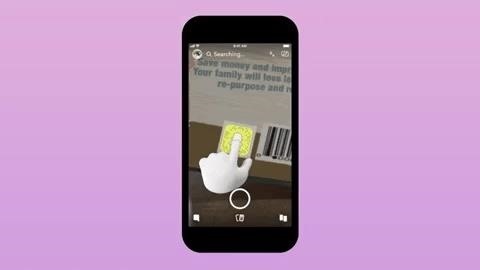 From the camera panel of the Snapchat app, users can press and hold on the screen to initiate a search, just as they currently do to scan a Snapcode or activate the app's Shazam integration. 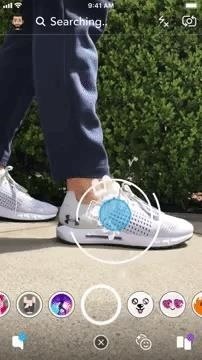 The new feature adds to Snapchat's already robust portfolio of augmented reality, including sponsored AR Lenses and its Shoppable AR feature of e-commerce. "Snapchat has always been the fastest way to communicate, and now it's the fastest way to shop," said a company spokesperson in a blog post announcing the service. The long-term implications of the feature are far more intriguing, though. Between the company's augmented reality Lens platform and the continual innovation of its capabilities, its Lens Studio development toolkit, and Visual Search, Snapchat is laying the foundation for its potential future addition of augmented reality capabilities to its Spectacles product line. We can see some of the same building blocks in the augmented reality offerings from Apple and Google, with ARKit and ARCore serving as the mobile augmented reality platforms for machine learning capabilities via ML Kit and Core ML, which can enable similar computer vision-based search features. Unity CEO John Riccitiello recently predicted that the first mainstream AR app may come from advertising. Looking toward that future, it's the combined ability to display virtual 3D content in a user's field of view and extract relevant contextual information from that user's environment that will bring truly practical AR to consumers through future smartglasses. As one of the early first steps moving in that direction, this new utility from Snap could serve as one of the first examples of how this dynamic can work to great effect.